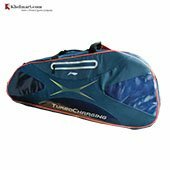 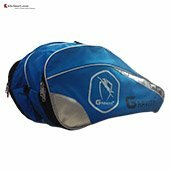 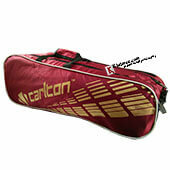 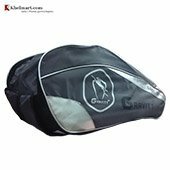 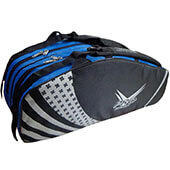 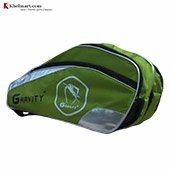 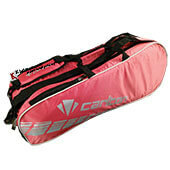 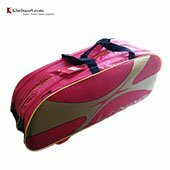 Badminton kit bags are used to store the badminton equipments like rackets, shoes, grips and other accessories. 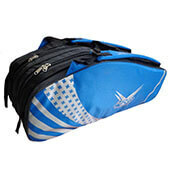 Kit bags should easily store the badminton equipments without damaging it and while it should easy to carry. 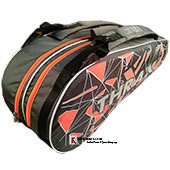 Single compartment kit bags are suitable for beginner or amateur player who just started the game and need to carry 1 to 2 rackets in the kit bag. 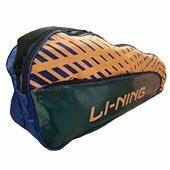 Some of the Yonex and Li Ning single compartment kitbags come with thermal lining for racket safety. 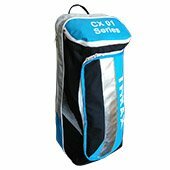 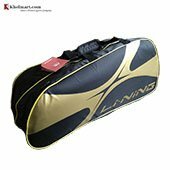 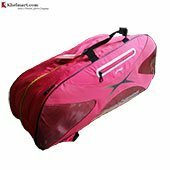 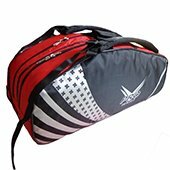 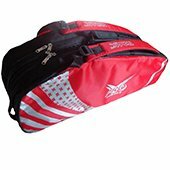 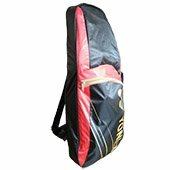 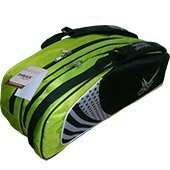 Double compartment kit bags are suitable for beginner and player can store 2 to 3 racket easily along with other badminton accessories. 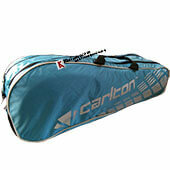 These types of kit bags are very popular among the intermediate players. 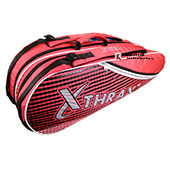 Player can easily carry 4 to 5 racket with separate shoe compartment. 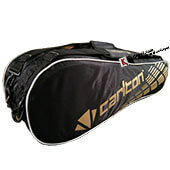 With shoulder straps, player can easily carry kit bags while making it as backpack. 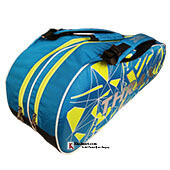 These types of kit bags are bit heavy in weight and suitable for professional to advance players. 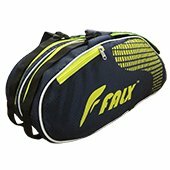 Player can easily store 7 to 10 rackets. 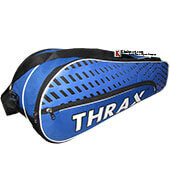 Some times, 2 compartments come with thermal lining for racket safety. 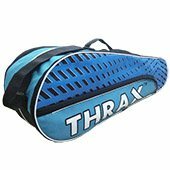 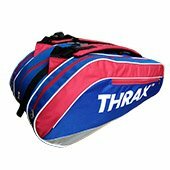 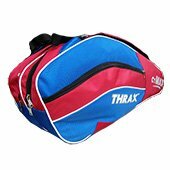 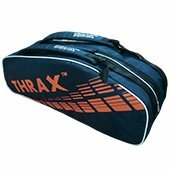 Thrax is popular sports brand among Indian Badminton players as it provides cost effective kit bags to player with lots of new and innovative features. 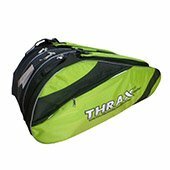 Thrax Astra series and MX01 series are latest launch for 2019 in 2 compartments category while Thrax GTX series is 3 compartments kit bag with separate shoe compartment. 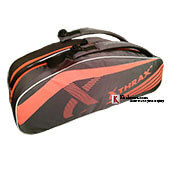 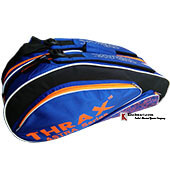 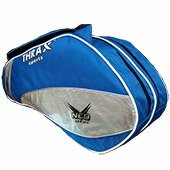 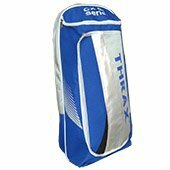 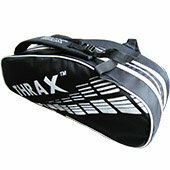 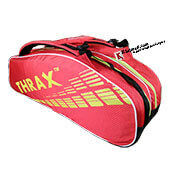 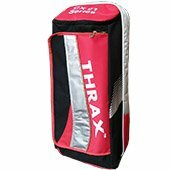 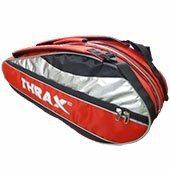 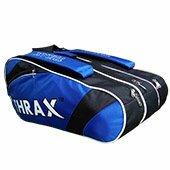 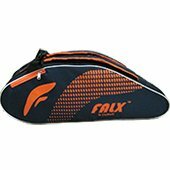 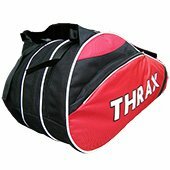 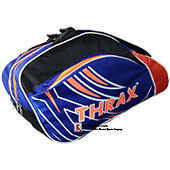 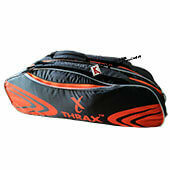 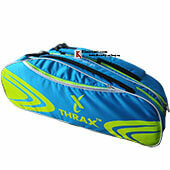 Overall, Thrax kit bags are good option for badminton players. 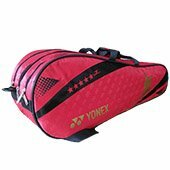 Yonex is world leader in badminton equipments manufacturing and its marketing. 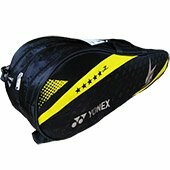 Yonex offer good range of kit bags starting from amateur player to professional players. 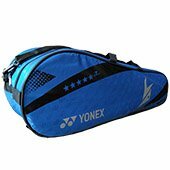 Yonex SUNR 1835 is the latest 2019 launch for beginner level badminton players while Yonex SUNR LRB06MS is 2 compartments latest 2019 for intermediate player. 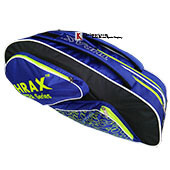 Similarly SUNR 9626 BT 6 and BT 9 are the professional level kit bags launched by Yonex in 2019. 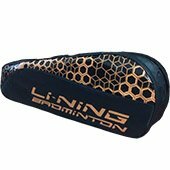 LI Ning is China based badminton equipment manufacturing company and manufactured quality sports equipment for badminton players. 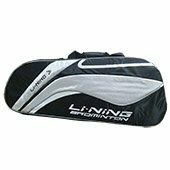 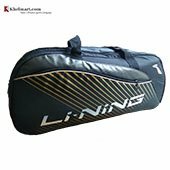 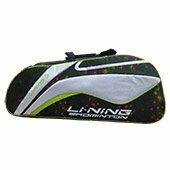 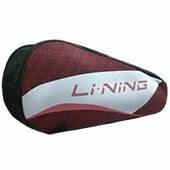 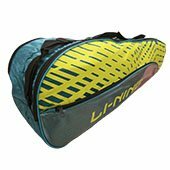 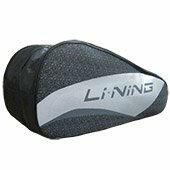 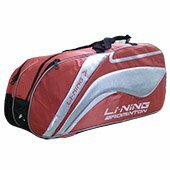 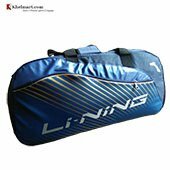 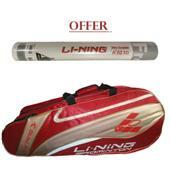 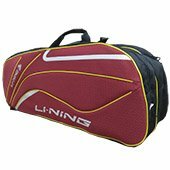 In 2019, LI Ning launched ABDN146 kit bag for Beginner, LI Ning ABDN148 for intermediate players while ABSL392 kit bag for advance badminton players. 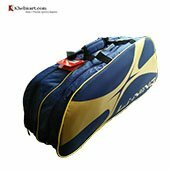 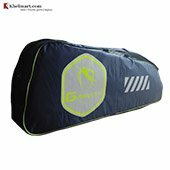 Khelmart presents you the unique combination and buying option of branded kit bags with COD and free shipping.